Hello Fab Free’rs! I’m happy that you’re here. This is going to be quick and painless. 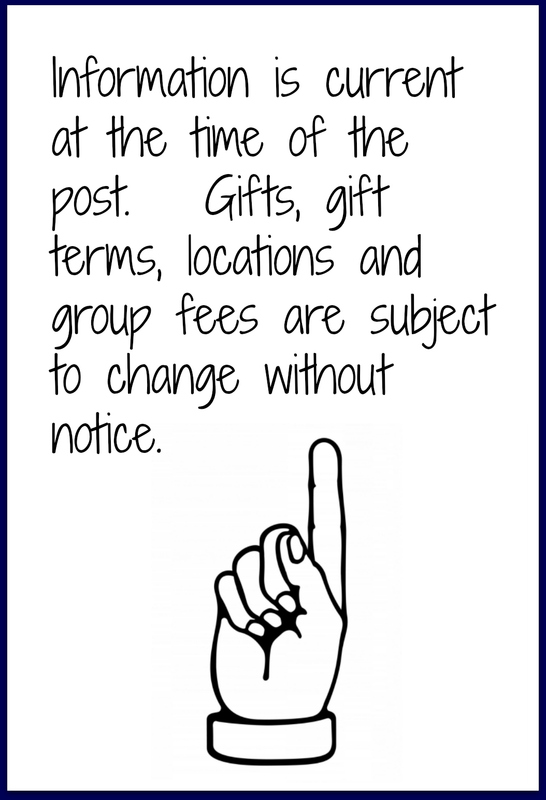 I came across a free group gift by UniWaii for the Unik event that I knew I had share with you. The pants Pru is wearing are free to all Unik group members. 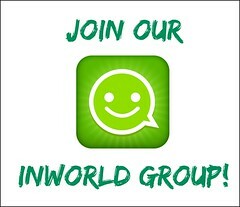 The Unik group is also free to join. 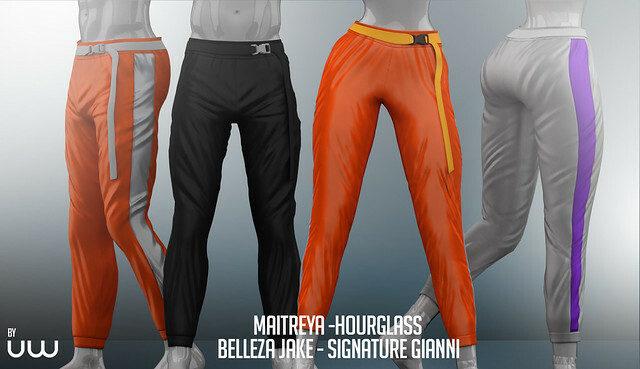 This event gift includes sizes for men and women as well as 4 color variations (2 for the ladies, and 2 for the gentlemen) along with a color change hud that lets you pick from preset colors for the stripe down the leg, and the belt, and belt buckle. To get your copy of this free gift by UniWaii, head over to Unik and join the free-to-join group, then click the group gift vendor while wearing your group tag. 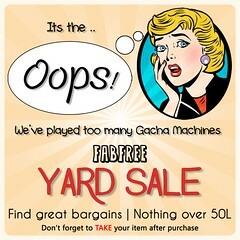 Have fun Fab Free! 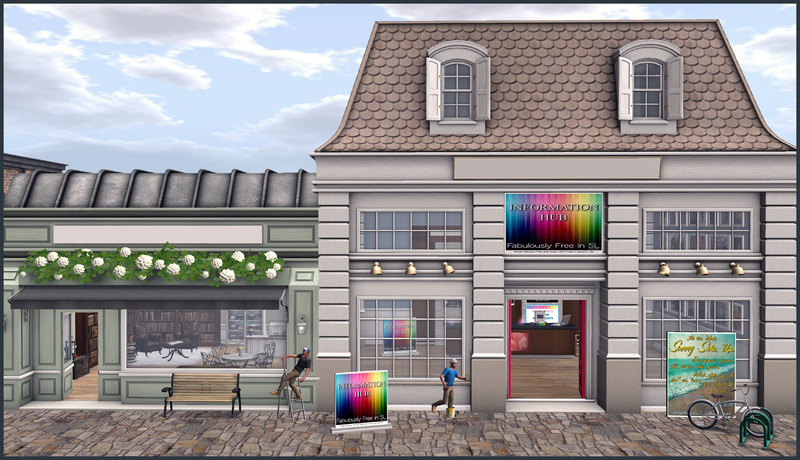 Categories: events, Free, group gifts, mens, mesh, pants | Tags: 0L, backdrop city, Belleza Jake, Catwa Koura, Essences, Essences Litzi, fab free, Fab Free in SL, fabfree, fabfree in sl, fabulously free in SL, Fashion Freebie, Female Gift, Flite, Foxcity, FOXCITY Poses, free, Free Event Gift, free fashion, free gift, free group gift, free in sl, free menswear, free pants, freebie, Group Gift Pants, Maitreya Hands, Maitreya Lara, Male Gift, menswear, Persefona, Prudence Rexroth, Second Life, Second Life Free, Signature, sl, sl free, sl freebie, sl menswear, Slink Hourglass, Slink Physique, TaketomiWEST, The Ivory Rose, Unik Event, Unik Event Gift, Unik Group Gift, UniWaii, UniWaii Unik Gift | Permalink. Hello Fab Free. Today’s post is a little melancholy, though appropriately so. If you are, or ever were into EDM (Electronic Dance Music) you know who the man on Pru’s shirt. Keith Flint, probably best known for his work with the band Prodigy, took his own life early this week. Despite his often menacing appearance on stage, he has been described by those who knew him as a kindhearted soft-spoken gentile soul. Music will never be quite the same without his creative spark. The designer behind the brand Beautiful Hustler has put out this top as a free group gift in tribute to the beloved singer, dancer, and front-man. The top comes in a single mesh size (not sure if it is fitted or standard), as well as mesh sizes for Maitreya Lara, Belleza (all), Tonic (all), and Slink (all) mesh bodies. The Beautiful Hustler group is free to join. Also, Pru is wearing a recent limited time free group gift nose ring by PUNCH. This crescent-moon shaped piercing is technically rigged to fit the Catwa Catya head, however it fit Pru’s Genus Project Classic head without any issues. The piercing is free to all PUNCH group members, and the group is free to join. Lastly I just wanted to put this out there, if you are feeling low, low enough that suicide sounds like a plausible option, please please please talk to someone. Anyone. Here is a link to the National Suicide Prevention Lifeline. https://suicidepreventionlifeline.org/ . Categories: Free, group gifts, mesh, Piercings, shirt | Tags: Adoness, Adoness Hair, backdrop city, Beautiful Hustler, Beautiful Hustler Group Gift, Belleza Freya, Belleza Isis, Belleza Venus, Catwa Catya Rigged Piercing, Essences Nari, fab free, Fab Free in SL, fabfree, fabfree in sl, fabulously free in SL, Fashion Freebie, Fashion in SL, FOXCITY Poses, free, free group gift, Free Group Gifts, free group join, free in sl, Free Nose Ring, Free Piercing, free top, freebie, Genus Project Classic, Group Gift Piercing, group gifts, Ivory & Rose, Keith Flint, Limited Time Group Gift, Maitreya Lara, Prodigy, Prodigy Shirt, Prodigy Tribute, Prudence Rexroth, Punch, PUNCH Group Gift, Reign, Second Life, sl, Slink Hourglass, Slink Physique, Suicide, Suicide Prevention, The Ivory Rose, Tonic Curvy, Tonic Fine, Vinyl | Permalink. Hello Fab Free! I’m so glad you’re here. This look I came up with for Pru reminded me of an Oracle like the ones in stories about ancient Rome. Maybe it’s the fiery eyes, or the detailed pendant. Both items are free gifts at the Summoning Spring Fair. I used several gifts from the Summoning Spring Fair to create this unique look. I hope you enjoy them. The Hair – As I mentioned there are lots of free gifts to be had at the Summoning Spring Fair. CHARME happens to have 2 gifts. This swing-bob style hair is their free gift, and if you pick up both of the CHARME gifts you’ll get the hairstyle with 4 total color change huds. This free hairstyle also has a unique feature that lets your color/texture the top strands of the hair separately from the rest to give the style a lot of dimension and tons of color combinations. The Tattoo – This mandala-like forehead tattoo is the Summoning Spring Fair gift from Fallen Gods. It comes in classic system layers along with an Omega applier. 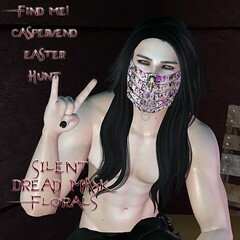 That means this freebie is suitable for mesh (Omega compatible) avatars and classic non mesh avatars. Not to mention with all the color choices, you could wear it with anything! The Eyes – I think these intense eyes by Cubic Cherry might be my favorite of the free gifts at the Summoning Spring Fair. They come in several vibrant colors. This git set includes a pair of mesh eyes, a matching alpha layer, an optional shadow add-on for extra detail, a texture change hud, and an Omega applier hud for Omega compatible eyes. The Necklace – Finally, this beautiful necklace is by On a Lark, and is also a free gift at the Summoning Spring Fair. I would consider this item to be unisex. It comes with a texture change hud that lets you pick from several preset options for the shiny stone, and 3 metal choices for the chain and setting. 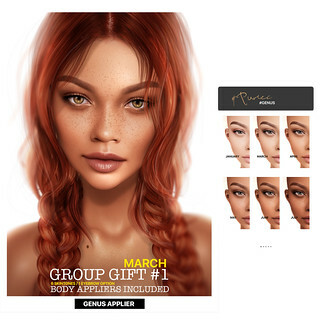 Categories: accessories, appliers, classic avatar, events, eyes, Free, hair, jewelry, mesh, other, tattoo, unisex | Tags: Black Star, Catwa Koura, CHARME, CHARME Summoning Spring Gift, Cubic Cherry Eyes, Cubic Cherry Summoning Spring Gift, Essences, Fab Free in SL, fabfree, fabfree in sl, fabulously free in SL, Fallen Gods, Fallen Gods Summoning Spring Gift, Foxcity, FOXCITY Poses, free, Free Eyes, free gift, free gifts, Free Hair, Free Hair in SL, Free Hairstyle, free in sl, free necklace, Free Tattoo, freebie, Gift Eyes, Head Tattoo, Maitreya Lara, Mandala, Mandala Elf Ears, mandala tattoo, Necklace Gift, Omega Applier, Omega Applier Eyes, Omega Applier Tattoo, on a lark, On a Lark Summoning Spring Gift, Prudence Rexroth, Second Life, sl, sl freebie, Summoning Spring, Summoning Spring Fair, Summoning Spring Fair Gifts, System Layer Tattoo, Unisex Necklace | Permalink. Hello dear Fab Free’rs! In my last post I mentioned 10 linden items could be found at the Truth or Dare Affair that ends in just a few days on Feb. 28th. 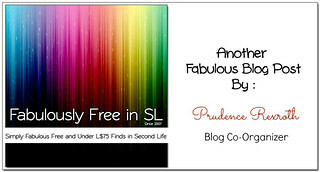 In this post I wanted to share with you one more of my personal favorites of those 10 linden finds. This dress by Get Frocked with its grinning red devils is just too fun! You can get it at the Get Frocked booth at the Truth or Dare Affair, no group needed. Categories: dress, events, fitted mesh, mesh | Tags: $10 Linden, 10L, 10L dress, Aii, Belleza Isis, Belleza Venus, Beusy, Catwa Koura, cheapie, eBody, Essences, fab free, Fab Free in SL, fabfree, fabfree in sl, fabulously free in SL, Fashion on a Budget, female fashion, fitted mesh, Foxcity, Foxcity Backdrop, FOXCITY Poses, GET FROCKED, Get Frocked @Truth or Dare Affair, Ivory & Rose, Kustom 9, Maitreya Lara, Momento., Prudence Rexroth, Roawenwood, Second Life, sl, SL Cheapie, Slink Hourglass, Slink Physique, swank, TODA, TRUTH, Truth or Dare Affair, TRUTH VIP Char | Permalink.